Montgomery Woods State Redwood Reserve has become one of my favorite Spring outings. This serene and Spiritual reserve has one of the oldest Coastal Redwood Groves as it has never been logged. 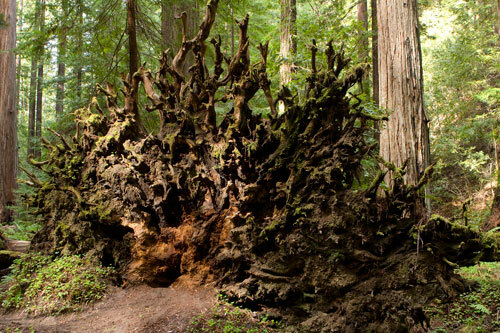 It is a rather"natural" area where fallen trees and branches are allowed to naturally blend into the environment. The forest floor is blanketed by large beautiful Fern and Redwood Sorrel, as well as exposed giant roots of the majestic Redwood. Even at mid-day sun, the lighting in this rather steep canyon is generally dim. It is imparative to use a tripod for your best exposure. A long exposure enables more depth-of-field as well as sharpness.